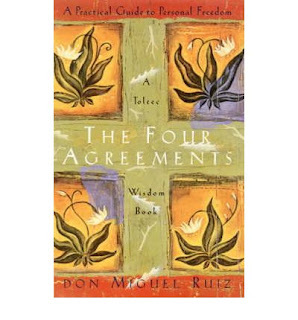 The book that will be the first to be read by my online book club will be the Four Agreements written by Don Miquel Ruiz. To give those of you wanting to join a chance to get hold of a copy of the book, the online book club will officially open its' windows :-D on Monday 3rd October. You can click on the book and follow the link to Book depository for the best price on this book. We will have a discussion mailing group that will discuss chapter for chapter as we all head through the book. If you are interested in taking part, please leave your comment and email me your details (Name, Email contact and the titles of 3 - 5 books that you would like to read) so that I can let you know all the details of joining the club.